Whenever I'm sad or mad or frustrated, I write. (Assuming I have something to write with or on.) I feel that I'm much more adept at getting out what I truly want to say by typing or writing. The actual speaking of words doesn't always come so easily to me. I much prefer writing - and such is the case right now. I haven't done an update in about a week or so and there's a good reason for that. I've been putting it off for several days because we've been so busy but now I have some spare moments to actually share some thoughts. Please excuse them if they're disjointed - it's been a long weekend. I got a bit long winded so click "read more" below to do just that. My Grandpa passed away Thursday in the early afternoon. I wrote on here about when he first got cancer (I Hate You, Cancer) and I wrote an update about him at Christmas time. I even have a recent draft of an update on him entitled, "I Still Hate You, Cancer." But I guess I'll never get to finish my thoughts on that now. I do still hate cancer, in case you're wondering. I think it's a horrible, terrible disease. It strikes and it seems like whatever can happen, will happen to the person who is affected by it. I hate how it chips away at a person until they're a hollow shell of their former self. My Grandpa's started out as bladder cancer but progressively got worse and worse until it eventually worked it's way into his entire body, even within his bones. When I was younger, I imagined my Grandpa as the Marlboro Man. That seems silly to me now because I don't ever remember seeing my Grandpa smoking (I don't know that he ever did?) and I don't recall him wearing cowboy hats. He was a trucker for many years and wore all sorts of hats from different trucking companies but never a cowboy hat. I suppose it's possible that he might have at some point in time. 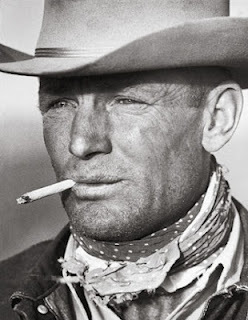 Regardless, I think that connection came from the Westerns he loved to read and the stoic, stern nature he had. When Grandpa spoke up, you listened. And if he yelled, you better knock it off. As I grew up though, I realized that my Grandpa had a very soft and caring side - he just showed it in a different way. People often told me about how he bragged on me when I wasn't around. When I was a preteen/teenager and would come over to visit, he would go get the four-wheeler out without my asking because he knew I wanted to ride it. And when I had my son, the first great-grandchild, Grandpa and Grandma had just left to go camping in Southern Indiana...so he turned right around and headed back. That was a big deal because my Grandpa loved camping and traveling with his RV. I admire my Grandpa for staying very alert and with it until the very end. Every time we went up to visit, he knew who was there visiting with him. The last time in fact, he insisted the kids take some things he wanted them to have - balloons and a little Gideon's Bible for Zeke. When we left, I had a horrible feeling that we would not see him again this side of heaven but brushed it off as an overreaction. Just a few short days later he was gone. I have been dealing with a lot of emotions this past weekend. Of course I'm sad that he's gone. I knew that it would happen eventually, but that still doesn't make it any easier. And I worry about my Grandma and how she will cope. Mostly though, I've just felt mad. It seems strange to me, almost irrational in a way...but I've just felt this overwhelming feeling of anger at the world. I'm angry that Grandpa was taken away from his kids - even though they're grown, they're still his kids - and that my Dad no longer has a "Daddy". Although I know it'll happen someday, I can't even begin to imagine losing my Dad. I'm angry that my Grandpa's wife of 57 years is now without the person who probably knew the most about her and that she now has an empty spot at the table, in the bed...probably everywhere she turns. I'm angry that the cancer made him suffer so and that he, the man who was always cold his whole life, couldn't get comfortable no matter what he did and that he was burning up at the end. I'm angry that my sweet boy's heart is hurting and that there is no magic salve that I can use to fix it. My six year old son, who always enjoyed taking walks with Grandpa and helping him feed the animals before he got sick, asked to "just sit a bit longer next to Grandpa" after the visitation was over, and then sat quietly observing the casket. As we prepared to leave, he began to weep and told me repeatedly, "I'm just so sad that he's gone!" Oh, how it brings back memories to me of being his age when my Grandpa was killed in an automobile accident. And selfishly, I'm angry that I missed out on The 2:1 Conference. That's a very stupid reason and I'm not proud to admit it but it's true. I was so looking forward to getting a refreshing look at homeschooling, blogging, my Christian walk, motherhood...the whole shebang. Obviously, I'm not mad at my family or my Grandpa. Nobody made this happen so my weekend would be ruined - it just happened. My sponsors for the conference and all of my #2to1Conf friends on Twitter have been so very understanding and I'm eternally grateful to them for their support. I am positive that this is where I needed to be, especially with all the different questions my son has been asking. And not to mention that my husband's grandmother took a spill and ended up having to have surgery on her broken hip! With all that going on, I know I would not have been able to concentrate at all at the conference. The funeral home did a wonderful job on my Grandpa, which I suppose is weird to say, but he had lost so much weight & had so many problems that I wasn't sure what he would look like. But he looked just like my Grandpa did before he got cancer. The services were beautiful and I'm proud of myself that I was able to play the piano, something that my grandparents have always enjoyed. My family is doing well and I think we're going all going to come through this okay. I am glad for the time on Earth that my Grandpa had and that he got to know my children. I know that he is at peace now and that he's no longer in pain or suffering. I know all that. I will cast all my cares upon you." 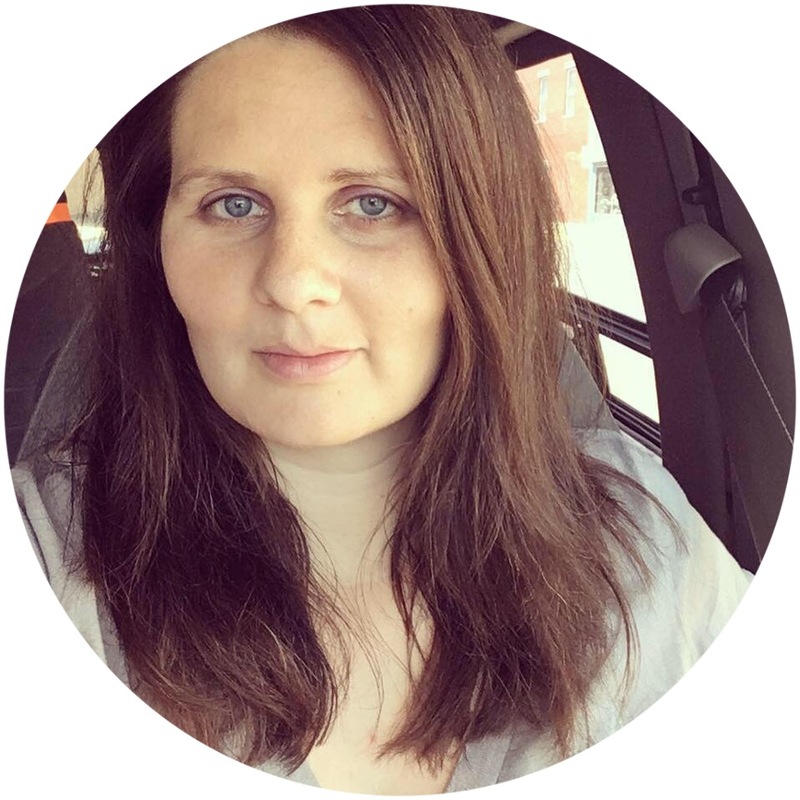 Simply put...I love your honest, heartfelt blogging. So so sorry about your grandpa. I am very close to my grandpa and cannot imagine what I will feel the day he is no longer here. My prayers are with you. My heart aches for you.